Comments: This is one of the smallest of the bamboos and is also amont the hardiest. It can stand temperatures down to -5 degrees F. It spreads quite rapidly 2-3 years after it has been planted. It may have damage to some of the foliage in winter, even in the lower part of zone 8 where the winters are mild and there are seldom many hard freezes. 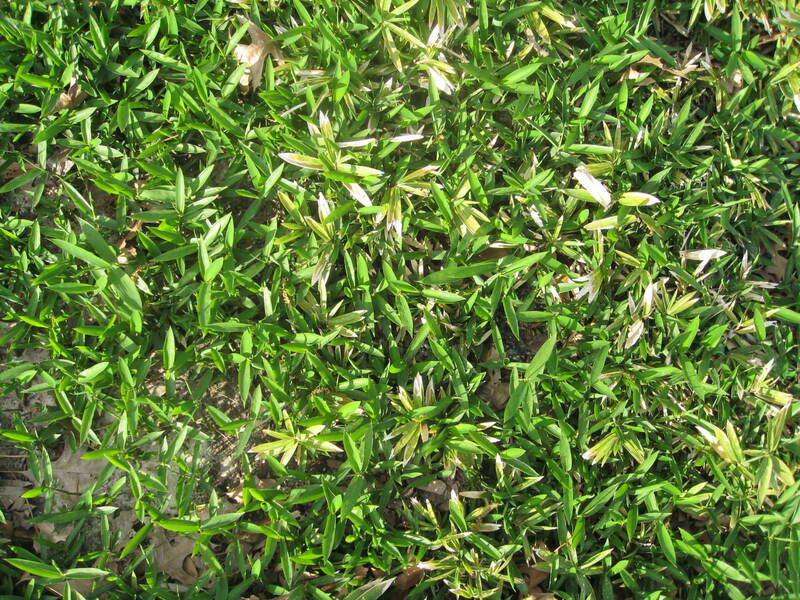 It can be mowed in later winter to keep it low, particularly where it is used as a ground cover.